The tractor show is not a contest, but rather a way for West Virginia’s rural heritage to be celebrated. Area residents will be able to view and take photos of vintage style tractors during the parade. 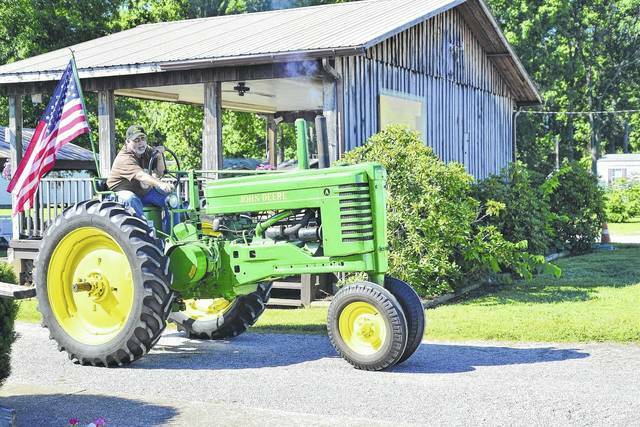 POINT PLEASANT — The annual Tractor Show and Parade is set to return for its eighth year at the West Virginia State Farm Museum. The event is set for Saturday, July 28 with gates opening at 8 a.m., line up beginning at 9 a.m., and then at 10 a.m. the parade will be underway leaving from the farm museum. After taking off from the farm museum, the parade will head into Point Pleasant on West Virginia 62, travel down Main Street, go through the underpass (where the farmer’s market is held), through Krodel Park, north into Point, out Sand Hill Road, over Bethel Church Road and returning to the farm museum from there. The public is welcome to stand along the parade route, take photos, and enjoy viewing the vintage tractors. To participate in the parade tractors must be able to maintain 10 mph and have a slow moving vehicle sign on the back of the tractor. The parade will be escorted by the Mason County Sheriff’s Department. For the show, there will be many classes available to enter at no cost. The classes of tractors will include antique tractors, tractors from 1960 and beyond, riding mowers, walk behind tractors, pedal tractors from adult and child presenters, a toy tractor class and machine class, as well as a miscellaneous class which could include anything from antique farm equipment to wagons, or any sort of conversation piece. The show is not a contest, but rather a way for West Virginia’s rural heritage to be celebrated. The farm museum will be open during the event for visitors to tour. Also, the Country Store and Country Kitchen will be open from 10 a.m.- 5 p.m. with a limited menu and there will be tractor games for the children. https://www.mydailysentinel.com/wp-content/uploads/sites/14/2018/07/web1_7.15-PPR-Tractor.jpgThe tractor show is not a contest, but rather a way for West Virginia’s rural heritage to be celebrated. 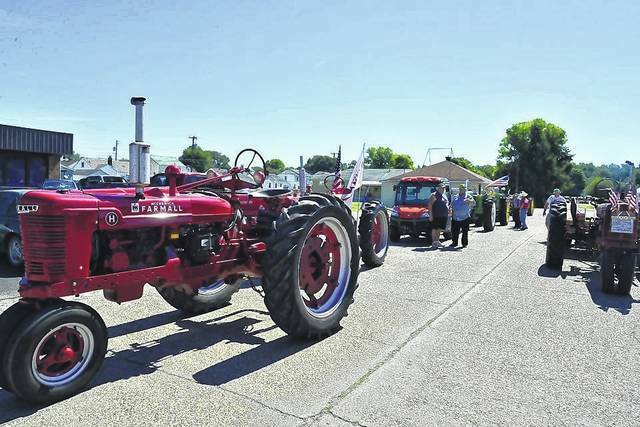 https://www.mydailysentinel.com/wp-content/uploads/sites/14/2018/07/web1_tractor-parade2017714161044700.jpgArea residents will be able to view and take photos of vintage style tractors during the parade.